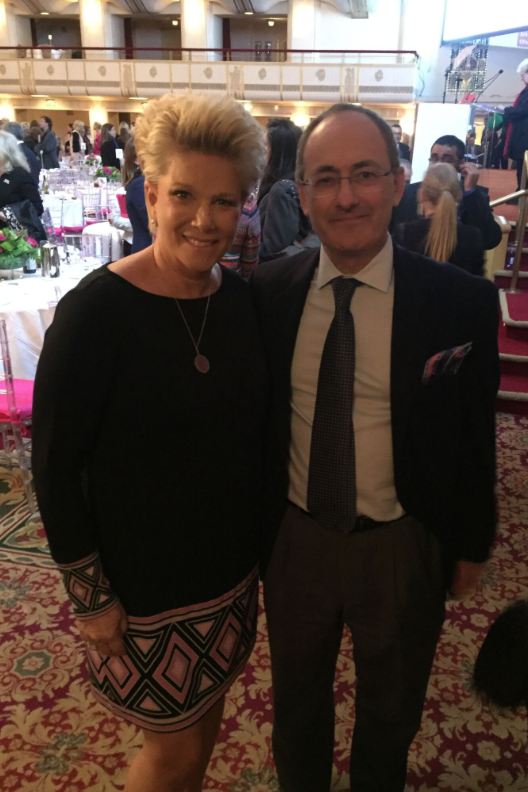 On October 27, the Breast Cancer Research Foundation hosted their annual Symposium and Awards Luncheon at the Waldorf Astoria Hotel in New York City. It’s going to take everything we have to eradicate breast cancer and BCRF works tirelessly to raise necessary funds to support doctors and researchers to #BeTheEnd of breast cancer. 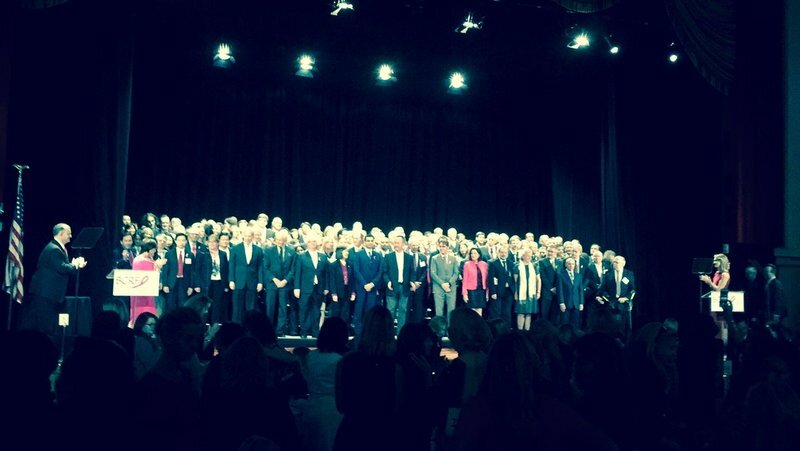 I had the honor of attending this wonderful event, it was a huge success! BCRF has funded 10,876,960 hours of research since 1993. 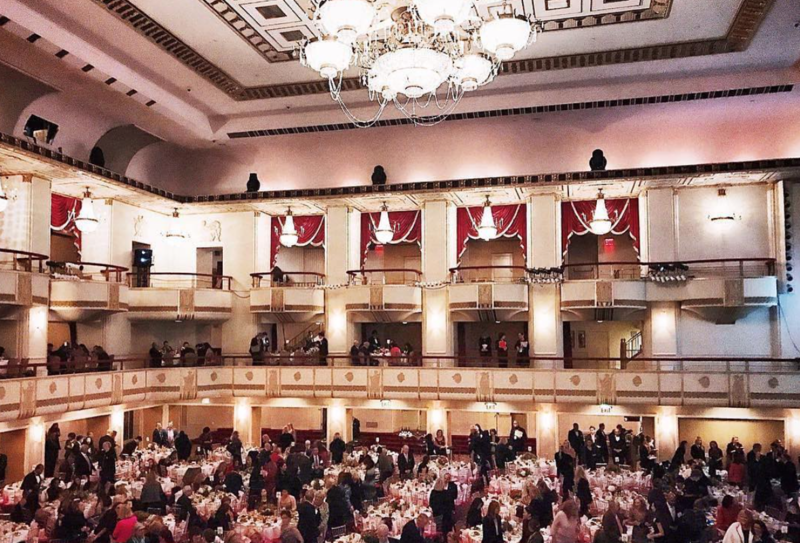 This event raised more than $2 million with 900 guests in attendance to support breast cancer research. $57 million was awarded in grants to more than 250 doctors and researchers across 14 countries at the Luncheon (pictured below). BCRF maintains its leadership as the largest nonprofit funder of breast cancer research worldwide. Their key areas of research include: Metastatic Breast Cancer (apx $18 million); New Treatments (apx $23 million); Genetics (apx $15 million); Early Diagnosis and Prevention (apx $8 million); and Global Treatment (apx $5 million). 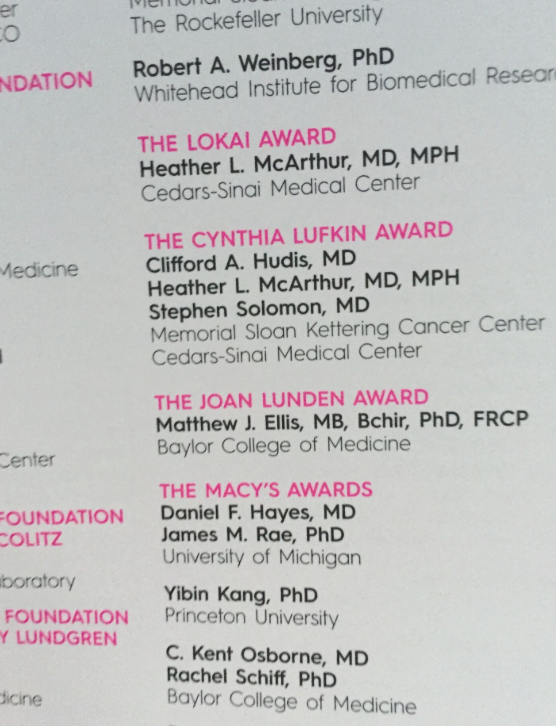 At the Luncheon, I was honored to see the very first Joan Lunden grant awarded to Dr. Matthew Ellis of Baylor College of Medicine for his work with triple negative breast cancer research, the same cancer I had.